Single Player, HD (High Definition) So, you think you’re a Crystal Quest Pro player? 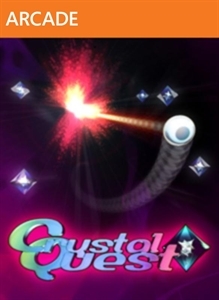 Are you ready for the challenge of Crystal Quest Xtreme? All scores are doubled, so scoring opportunities are huge. You may need to lie down after play. Sissies need not apply. There are no refunds for this item. For more information, see www.xbox.com/live/accounts.